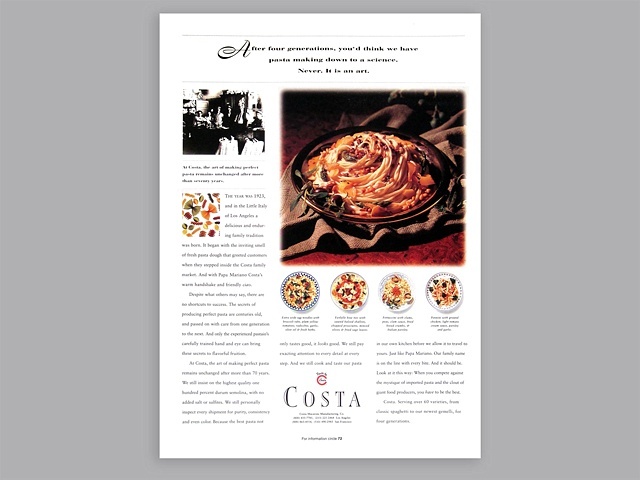 Institutionally-targeted advertisement for Costa Macaroni, a family-own pasta manufacturer. Headline: "After four generations, you think we'd have pasta making down to a science. Never. It is an art."